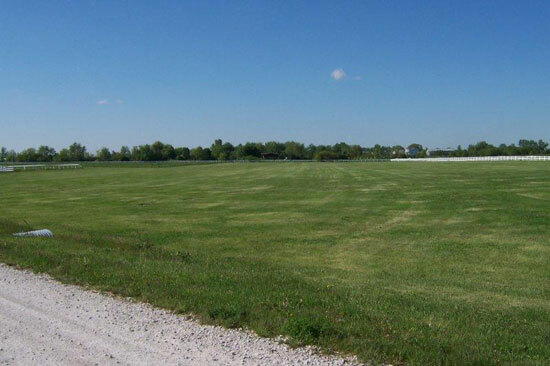 Corner of 80th & Dralle Rd. 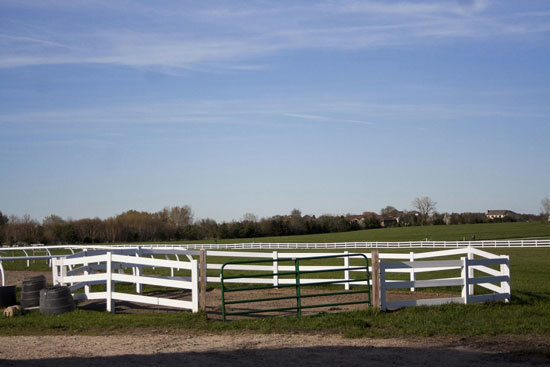 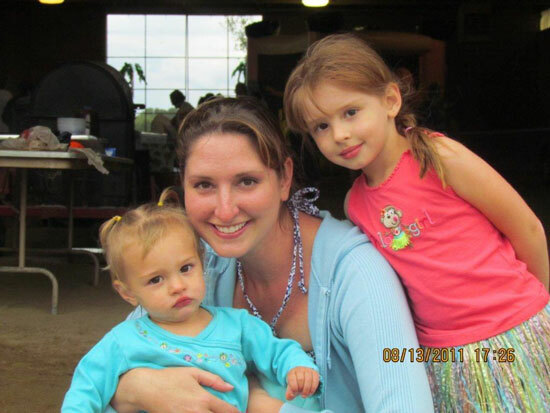 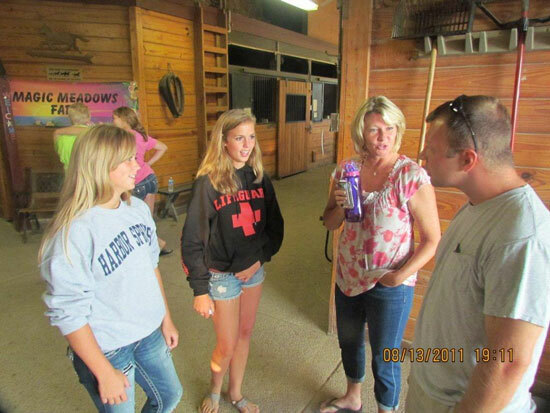 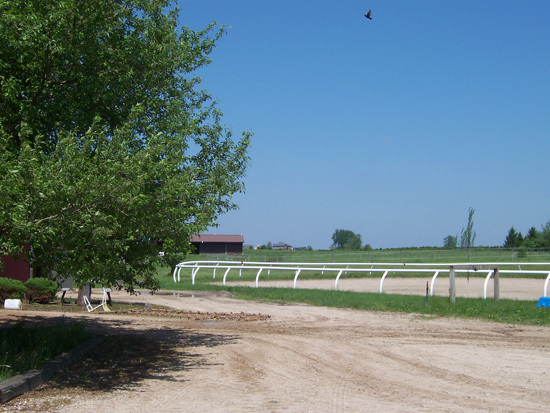 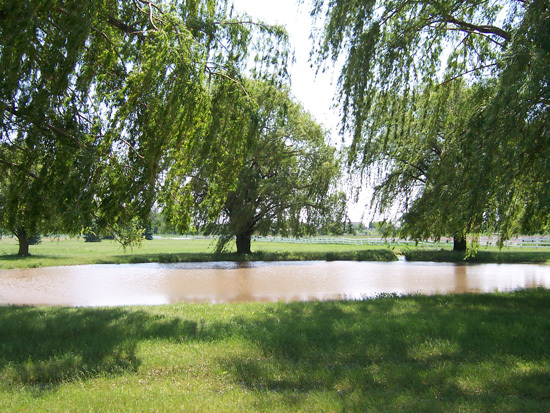 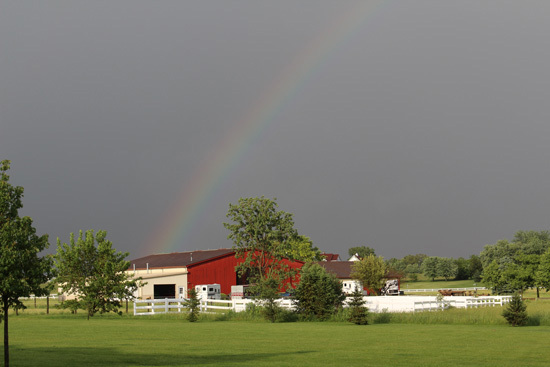 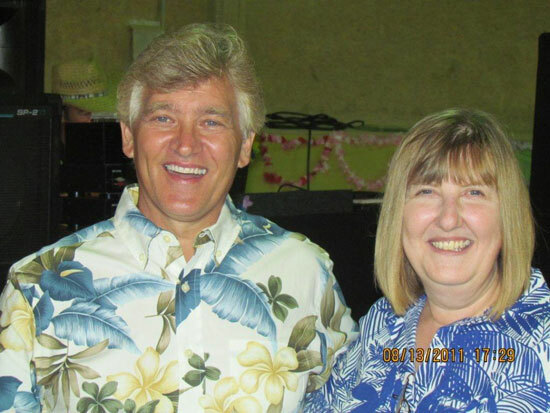 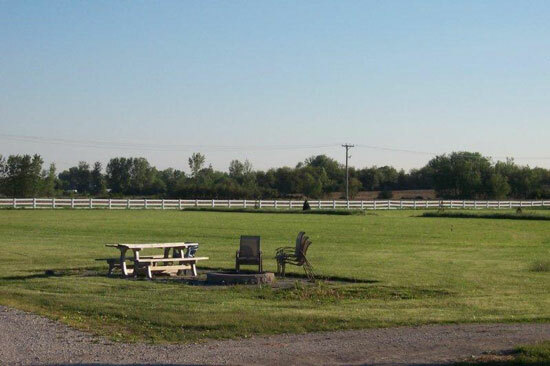 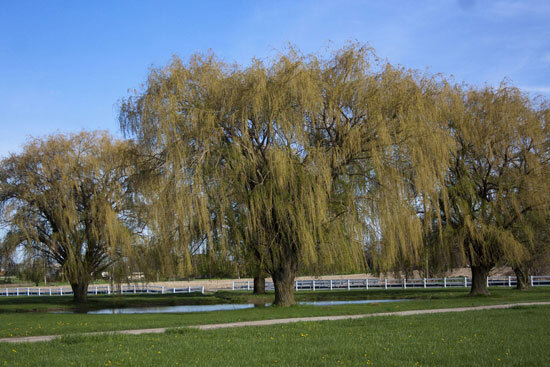 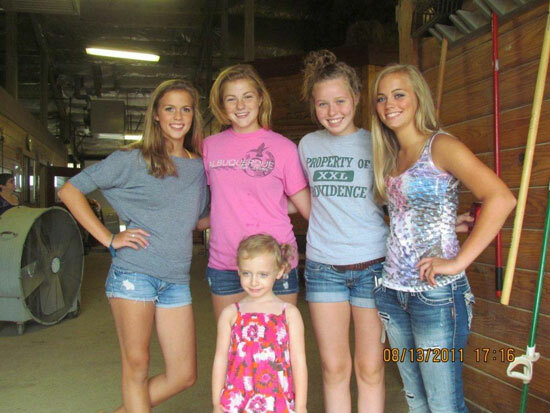 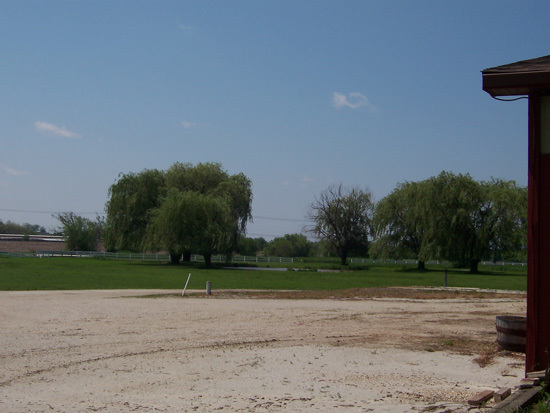 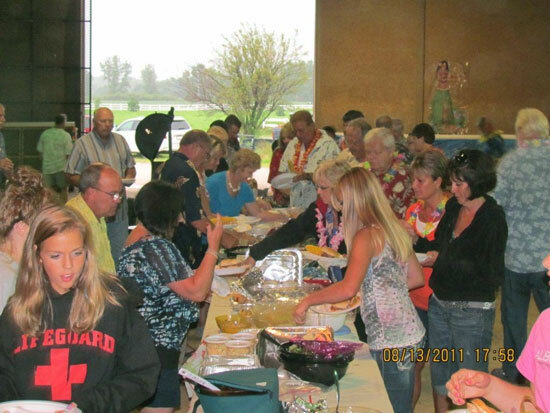 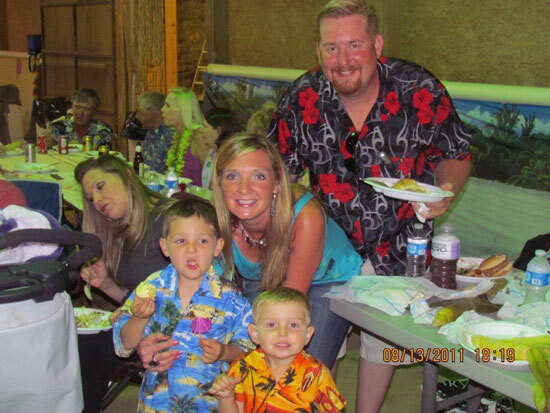 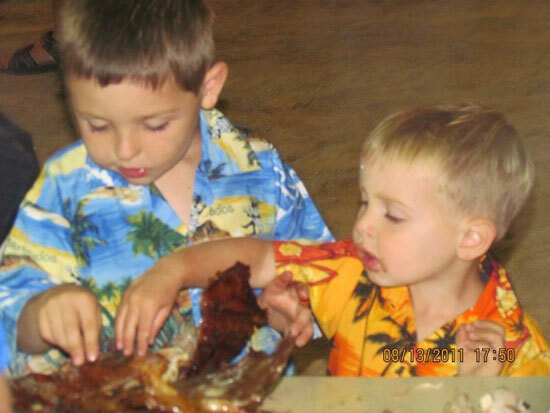 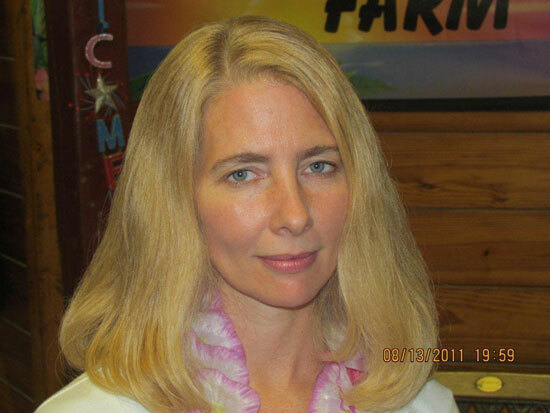 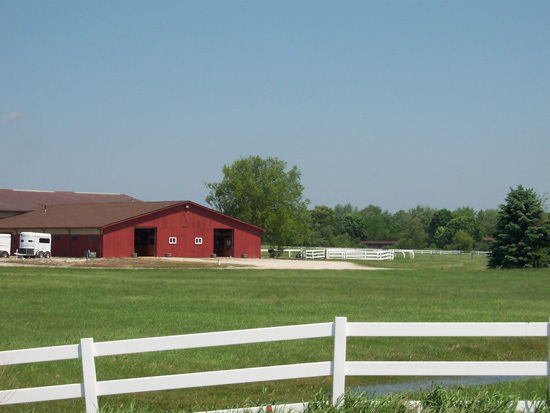 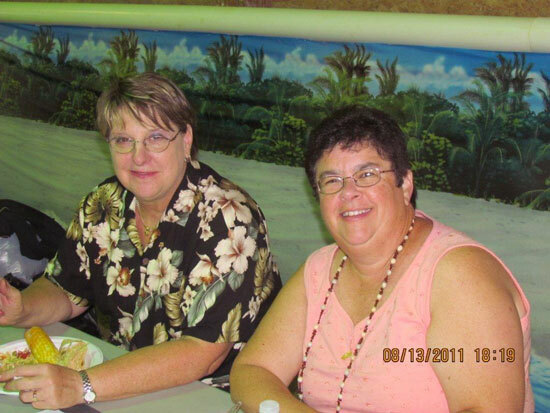 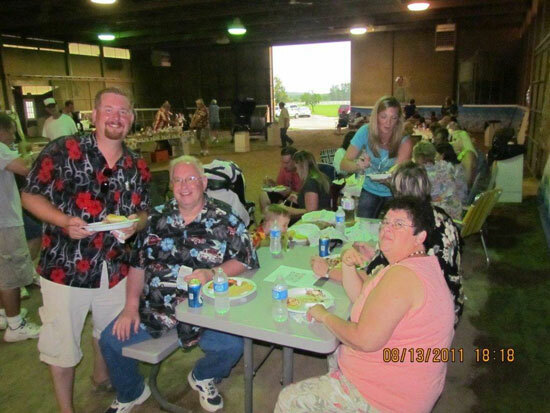 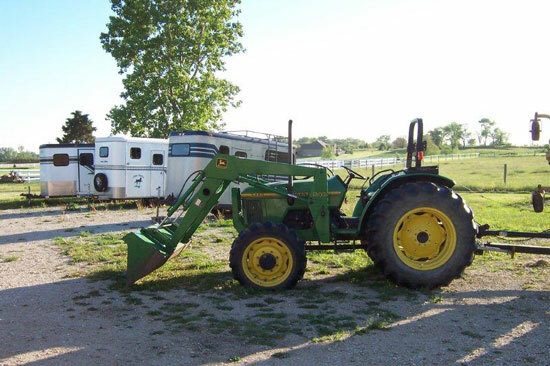 At Magic Meadows Farm, we offer a friendly, family atmosphere and our management live on the property. 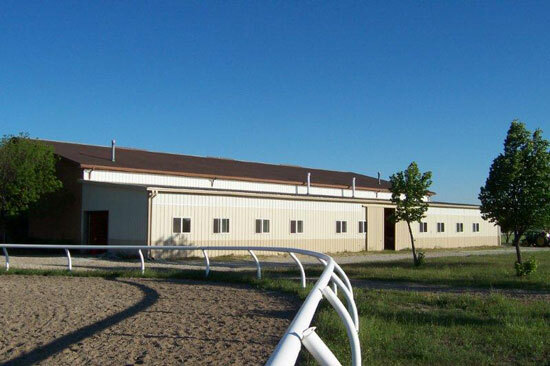 Our facility has 24 stalls, 10' x 12' with rubber mats and automatic waters along with a fly spray system. 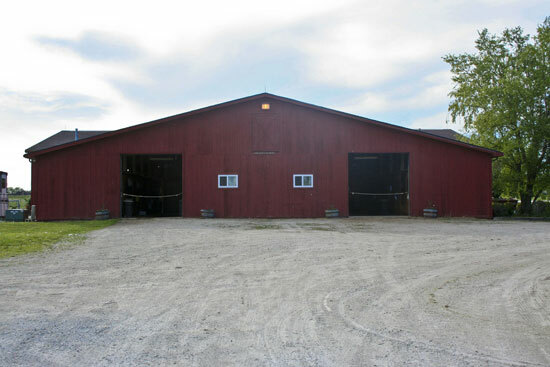 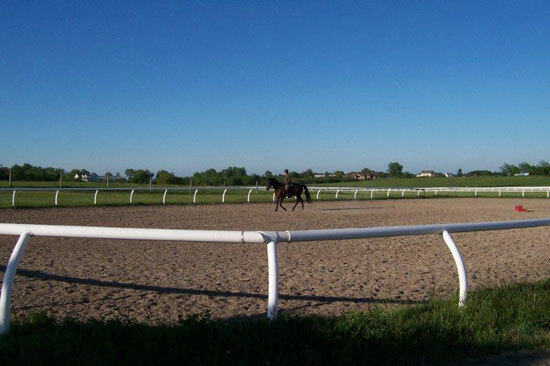 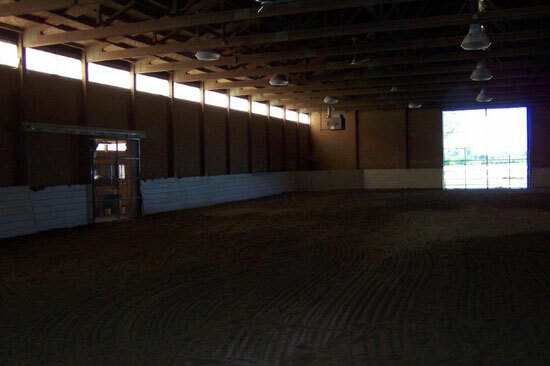 Both the barn and indoor arena are heated and have a viewing room, kitchen, and washroom. 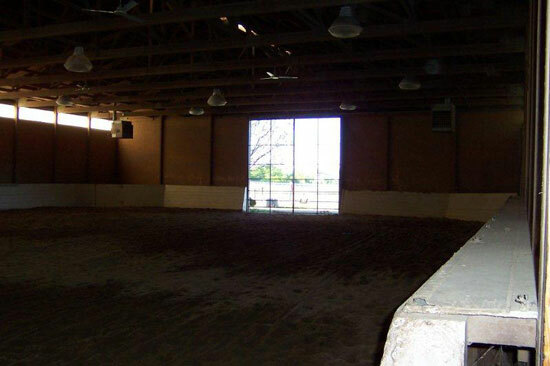 The indoor arena is 80' x 120'. 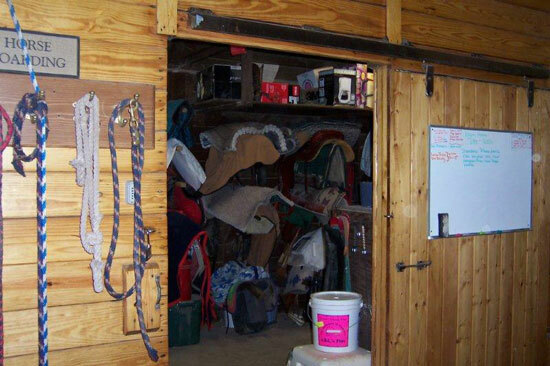 Our tack room has saddle racks and lockers. 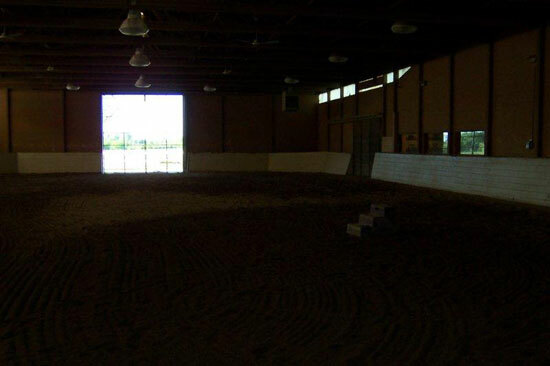 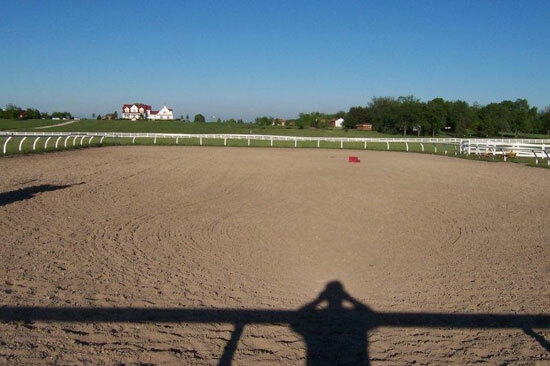 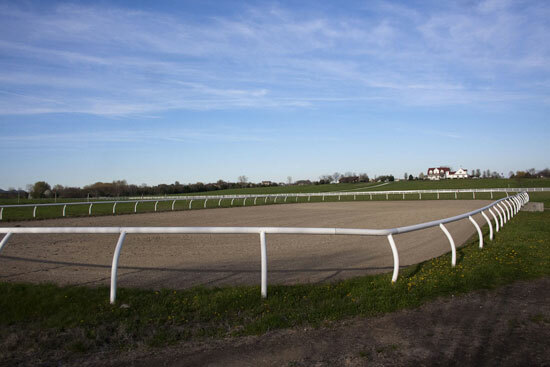 We also have a very large outdoor arena. 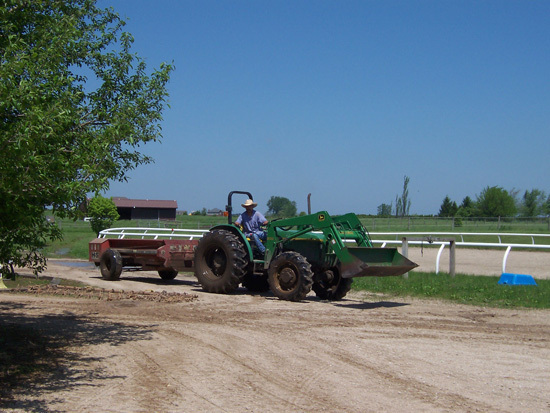 At Magic Meadows Farm, our stalls are cleaned daily and new shavings are added twice weekly. 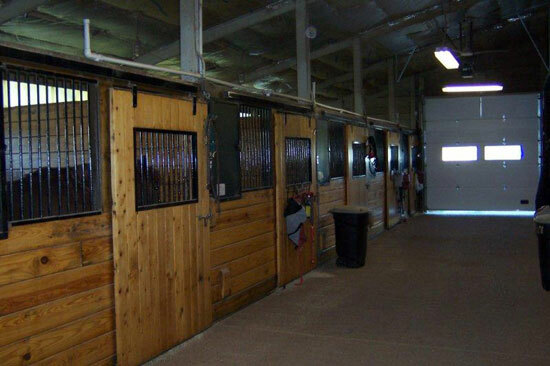 Horses are fed three times per day with grass hay, along with grains and any necessary medications. 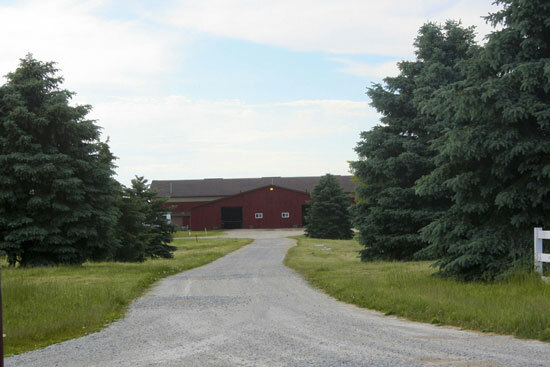 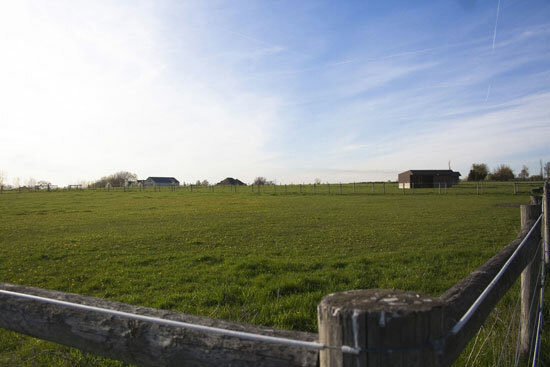 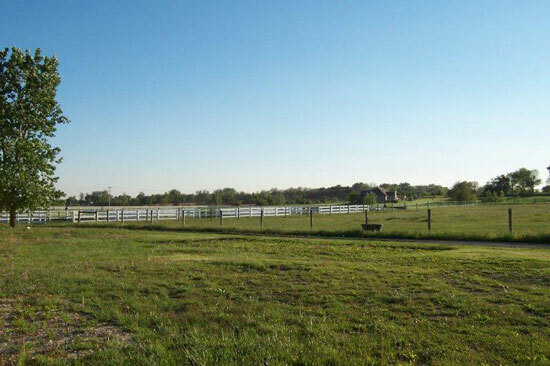 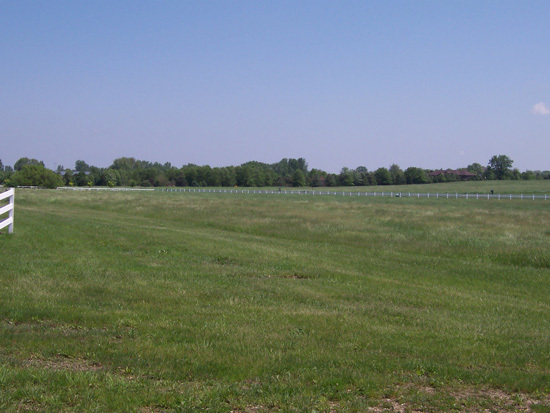 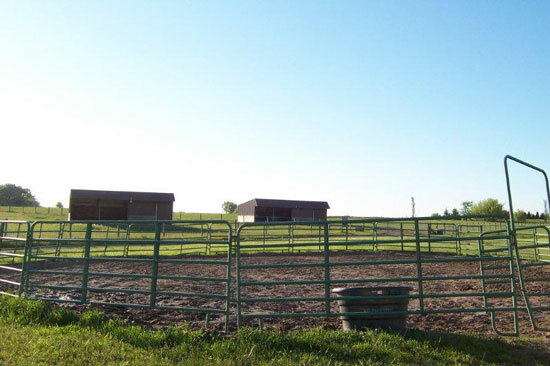 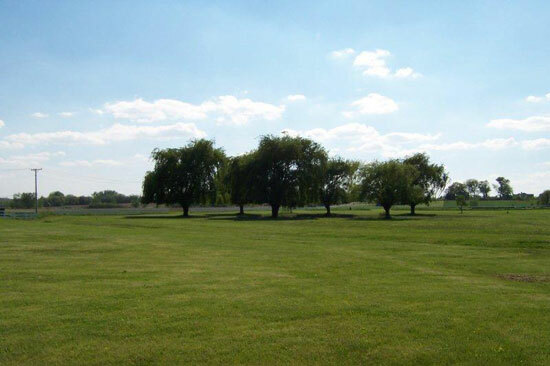 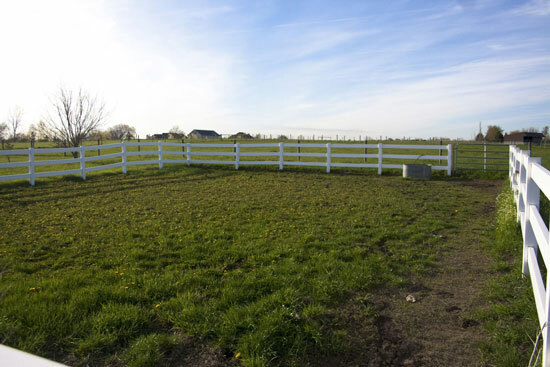 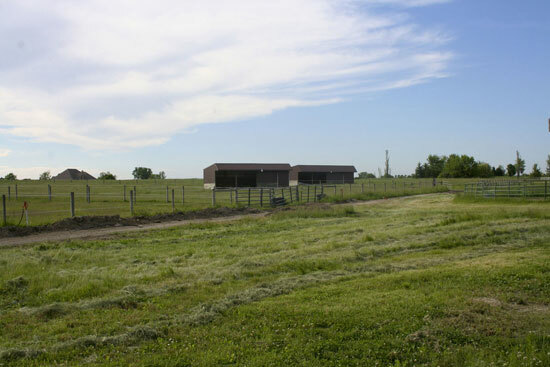 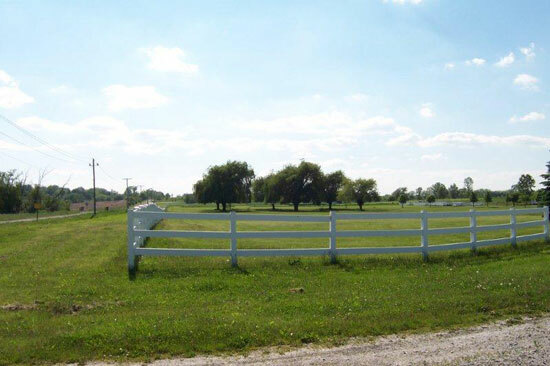 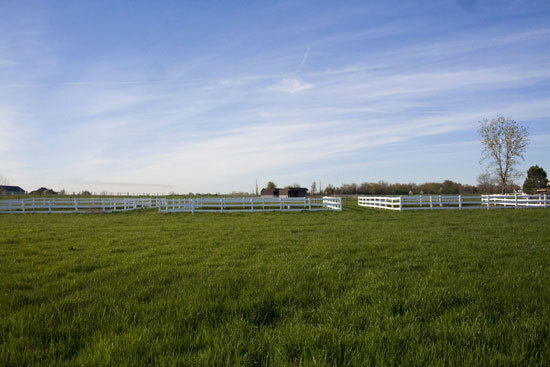 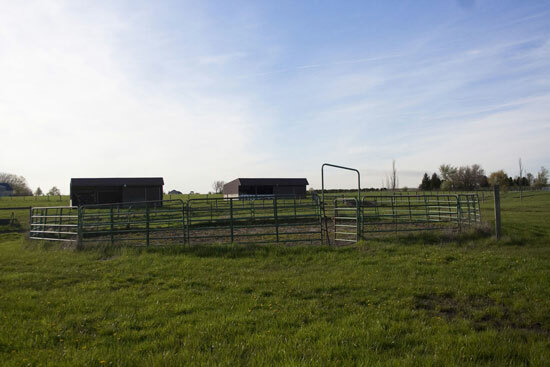 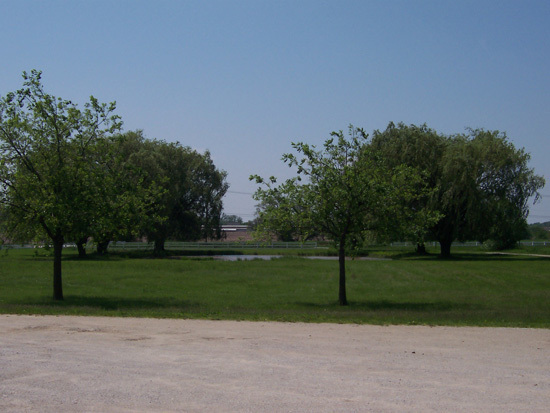 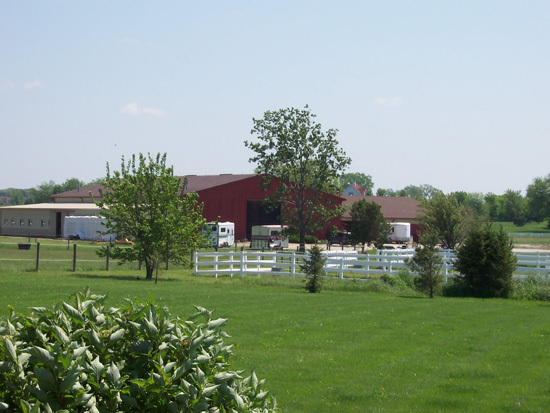 We have eight large grass pastures on 35 acres, two round pens, and four small square pens. 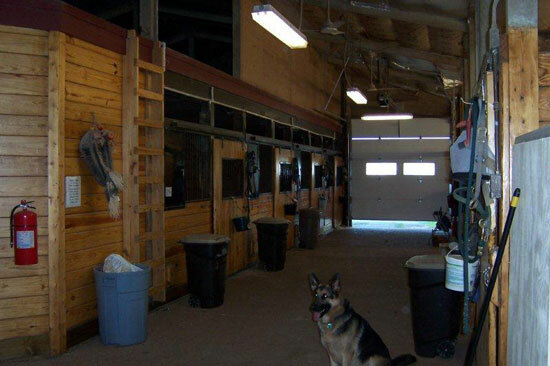 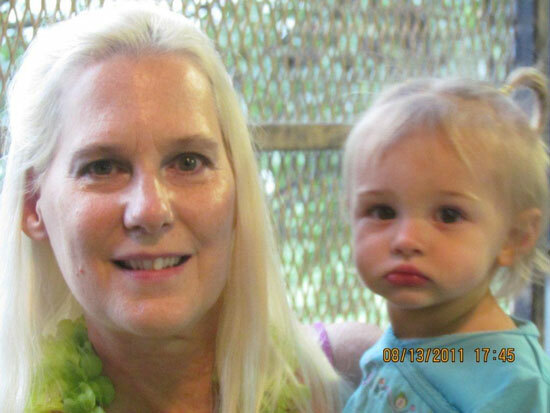 We have both a heated, indoor wash rack with hot and cold water and an outside wash rack. 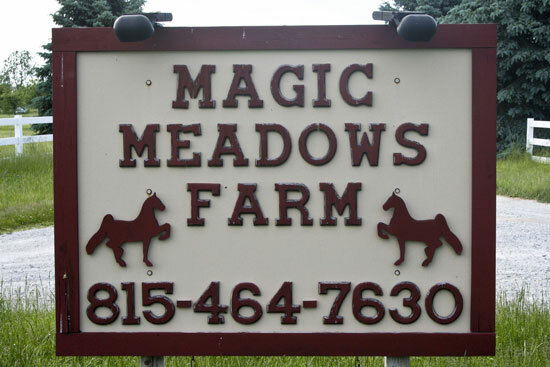 All breeds of horses are welcome at Magic Meadows Farms.